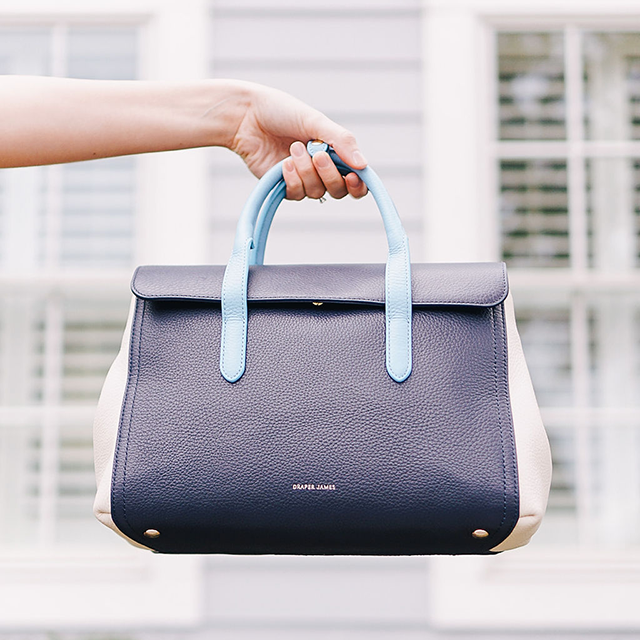 Kate carried our Overlook Bag to complete her adorable look. 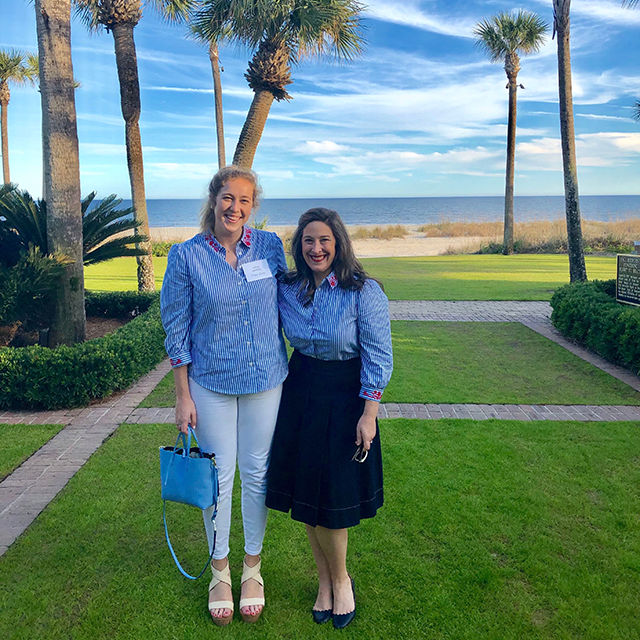 To me, Southern style has always been defined by classic, timeless pieces that always manage to give off perfectly poised, feminine air. Down here in Texas, you’ll often find that mixed in with a pop of turquoise and a pair of cowboy boots. Each city definitely has its own look, however; Dallas tends to be a bit more classic and put together, while Austin leans more towards trendy, eclectic, and definitely casual. 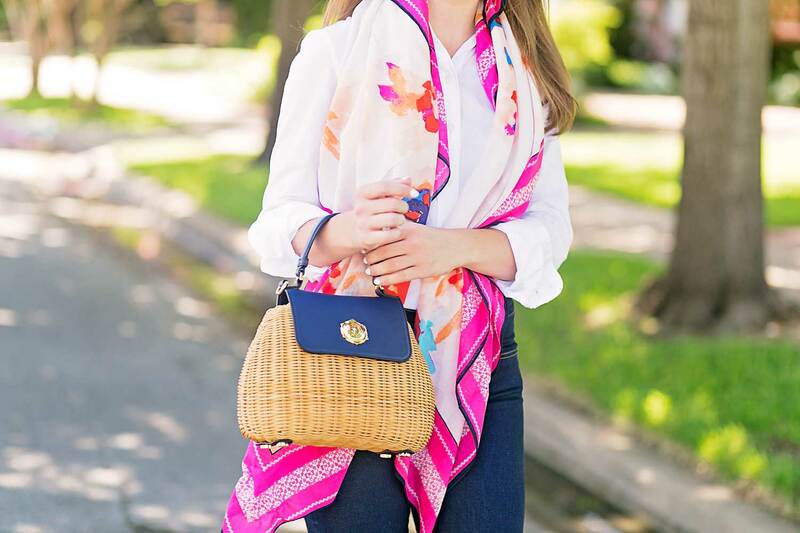 What’s your favorite way to wear a summer scarf? 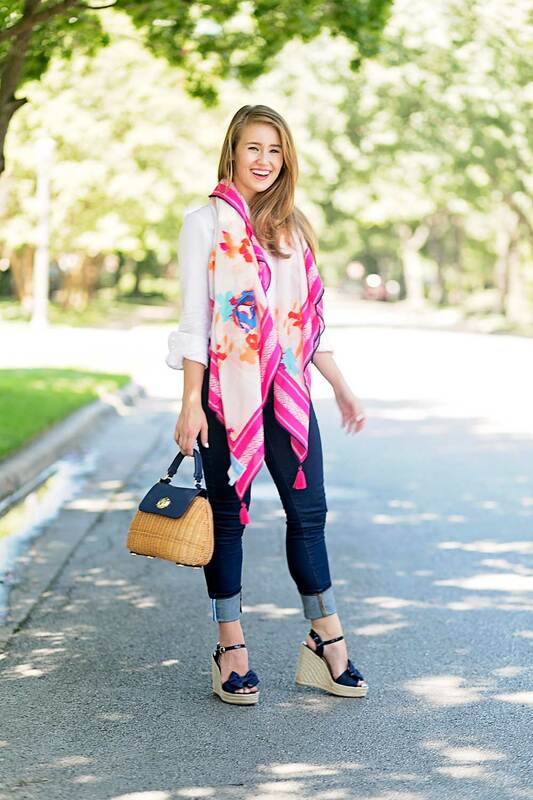 I always use summer scarves to add a bold pop of color to my ensemble! As such, I drape it around my neck and wear both ends to the front. This allows it to make the biggest impact, while also staying cool! Scarves in the summer look so chic, but they can be tricky. For one, it’s HOT–especially in Texas. Any tips for pulling off the look? It’s helpful to find scarves that are lightweight and breezy. Save the tying and bundling for the fall and drape it across your shoulders for a look that is cool even in the Texas heat! 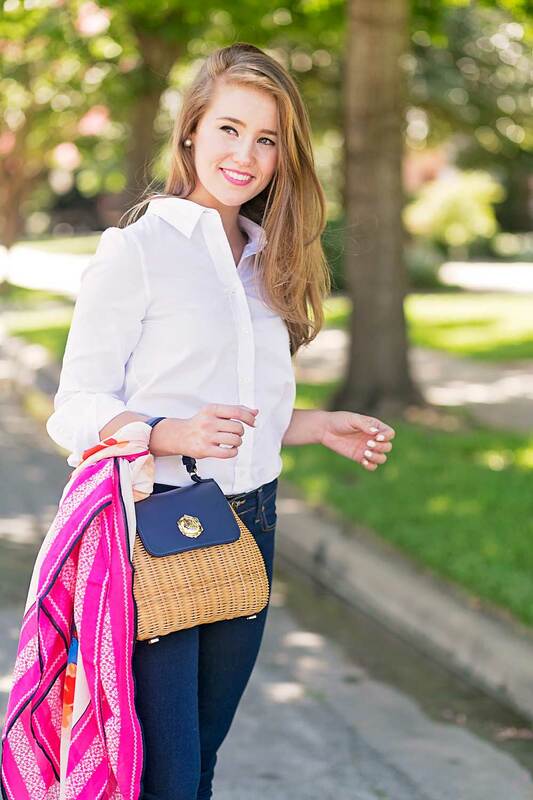 Kate styled our scarf with our white Elliot Shirt and Tootsie Jean. What drew you to these particular DJ items—scarf, dress, bag? 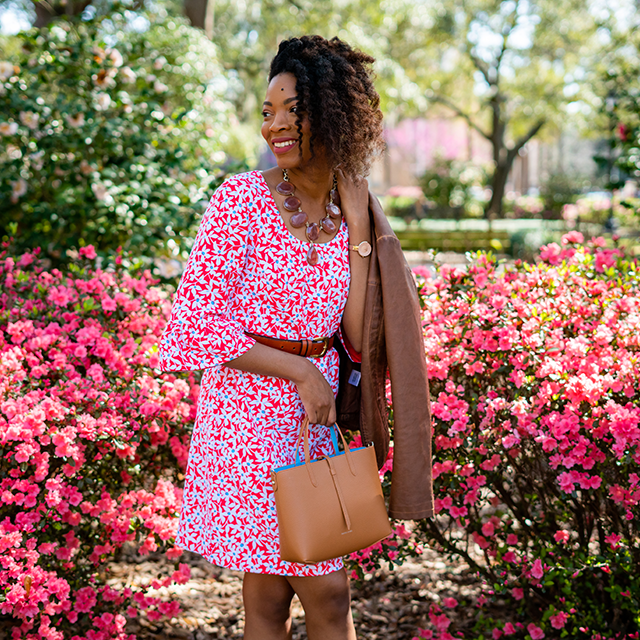 My eye is always caught by color, and the beautiful hues in both the dress and scarf immediately had my heart. I loved the Southern (and incredibly flattering) cut of the dress, along with the delicate details like front pockets and open back. 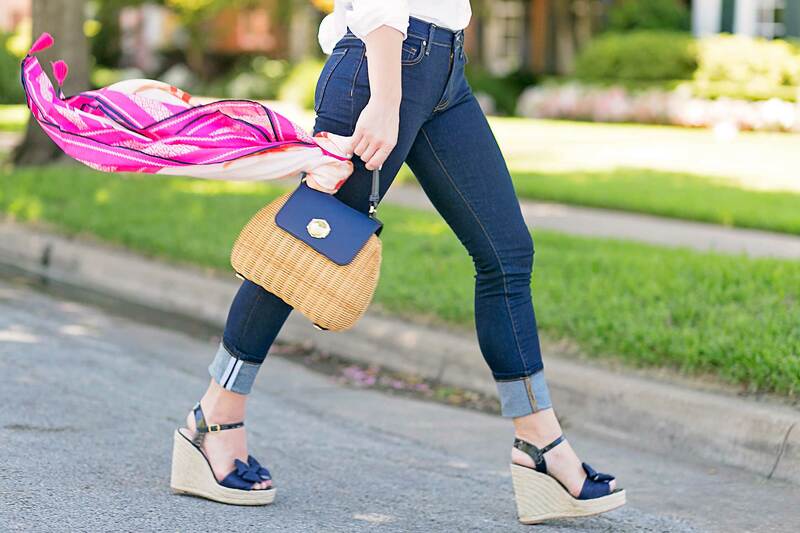 There is no better accessory than a straw bag in the summer. I loved DJ’s take on it with the unique shape and navy details. 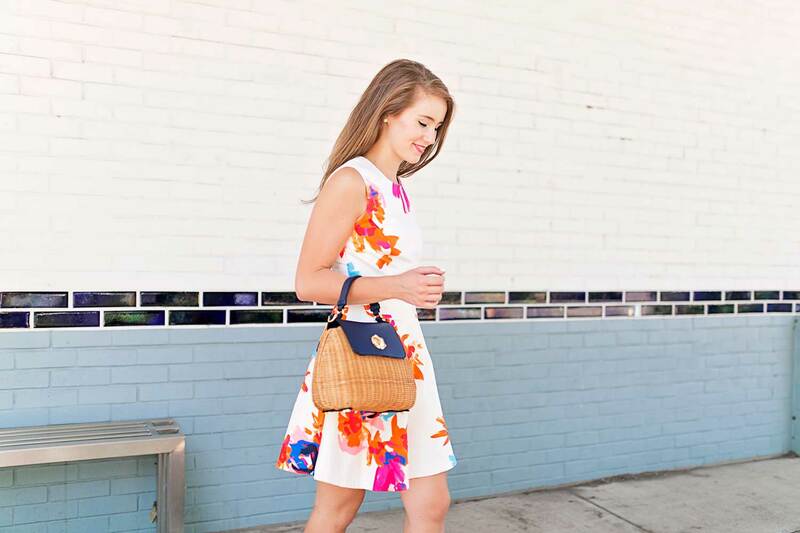 We have to ask, what’s your favorite Southernism? “I also loved this print so much, I had the matching dress!” says Kate.